Doug Tracy is Milestone’s Chief Operating Officer. With 30 years of executive experience, Doug has successfully led IT operations at several Fortune 500 global companies, including Computer Sciences Corporation, Dana Corporation, and Rolls-Royce North America. Doug has a proven track record of driving strategic change to build successful businesses in the technology, life sciences, financial services, health care, manufacturing, aerospace, and transportation industries. In his role as Vice President and CIO of Computer Sciences Corporation (CSC), a 71,000 employee, $14 billion IT and professional services firm operating in over 70 countries, Doug led a dramatic transformation of internal IT functions that focused on driving business development and supporting global operating models. During his time there, he implemented a robust cybersecurity infrastructure and led a refresh program for organization-wide applications, while managing high-value global alliance relationships as an executive sponsor. Most recently, Doug served as President of Xform Digital, LLC., where he provided management consulting, IT leadership, and board advisory services to global firms. In this role, Doug was responsible for guiding sales and marketing strategy and driving business development for a cybersecurity startup, NormShield, and a global IT service desk product company, Wolken Software, Inc. During his time there, Doug also served as interim CIO for $1 billion global medical devices firm, Ascensia, throughout the duration of its separation from Bayer, establishing a new IT strategy that reduced operational costs by >15 percent while improving business efficiency. 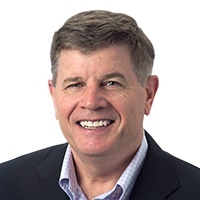 As Chief Operating Officer, Doug is responsible for Milestone’s service delivery, technology and service strategy, partnerships and alliances, and internal IT operations. As part of this role, he is introducing new approaches to enhance Milestone's services, such as automation, artificial intelligence, and machine learning technologies. Doug has served as an Officer in the United States Air Force and holds an MS in Software Development and Management from Rochester Institute of Technology, an MBA with Honors from Duke University, and a BS in Electrical Engineering with Distinction from the U.S. Naval Academy.